Published by Midwest Directory Publishing Company, 1931. Cover is darkened, top edge is chewed. Inside pages are clean. 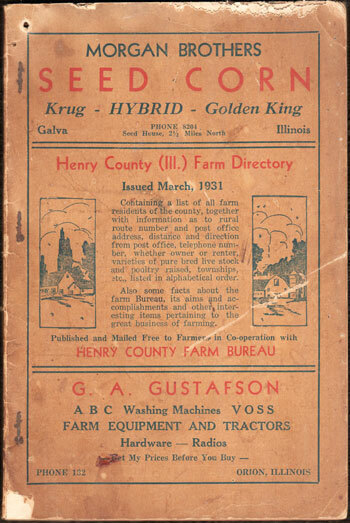 A directory of the farm residents of Henry County, Illinois. Includes name and address. Soft cover, 114 pages. Also includes numerous business ads.